The Husqvarna LGT2654 tractor is perfect for large yards with wide open spaces. The Husqvarna LGT2654 is a professional garden tractor made for homeowners with lots of acreage who need the speed and convenience of a powerful mower coupled with the ability to tow a variety of attachments such as the Agri-Fab lawn sweepers, tow aerators or tow spreaders. If you have a big piece of property then you’ll certainly love the unique features of the Husqvarna LGT2654 tractor. Compact and powerful with its 747cc gasoline motor, providing plenty of power to perform under all conditions. 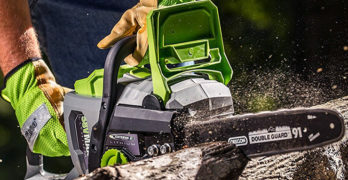 With its large wheels it can handle a wide range of terrain with ease, not to mention its ability to mow and mulch your lawn with great efficiency thanks to the wide 54″ steel cutting deck. 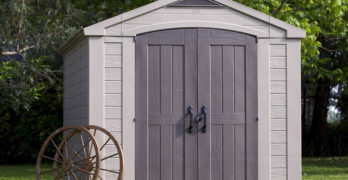 The difference between a cheap tractor and a garden tractor such as the Husqvarna LGT2654 is that the chassis, transmission, suspension and all connecting pieces are more durable and robust, capable of withstanding a lot more punishment than the cheaper models. You’ll appreciate the fender-mounted cutting height adjustment that you can adjust while your sitting in the ergonomic adjustable seat and the plush steering wheel that fits like a glove when you put your hands on it. Husqvarna makes all of their tractors with hydrostatic transmissions which simply means that all the power is transmitted hydraulically, making it more durable and reliable over the years. This technology allows for extra smooth forward (variable) and reverse speeds. The Husqvarna LGT2654 is made with the best engineering that Husqvarna has to offer. 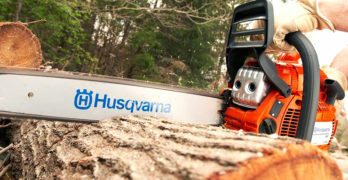 Unlike many companies, Husqvarna consistently makes exceptional products that consumers have grown to love. Hey, they got their start in 1689 so they must be doing something right. The Husqvarna LGT2654 is also designed with air induction technology to improve the overall airflow around the deck, which allows the tractor to make consistent and clean cuts that you can expect every time you operate it. Not to mention cruise control so you can just set the speed and focus on driving the tractor, and maybe even having a little fun. You’ll notice in the photos that the extra wide tires are quite impressive and one of the benefits of them are that they won’t dig up your lawn when your grass is wet due to the extra surface area contacting the surface. Tractors with skinny tires are far less effective at gaining traction when conditions are poor, namely after a rainfall. If you have a hilly yard then don’t worry, this will do an excellent job of handling the varying elevations. Husqvarna has done a great job of adding small touches to this tractor such as the hour meter that tells you exactly when to service the vehicle based on the amount of hours you’ve used it. It has cup holders for your favorite beverages, and, it has powerful headlights so you can work from dawn to dusk and any time in-between. View or download the informational pamphlet for the Husqvarna LGT2654. 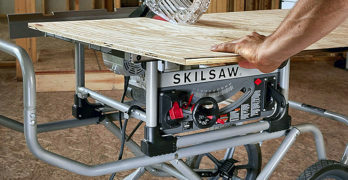 Learn more about the Husqvarna LGT2654 from Amazon. Powerful 762cc / 26HP Kohler V-Twin engine. Hydrostatic transmission: Control the speed & direction with the fender mounted lever. Engage the cutting blade by the easy pull of a switch on the control panel. Step-through seating area makes it easy to mount and dismount. Easy to change the cutting height via the spring-assisted fender-mounted lever. Very comfortable adjustable 15″ high back seat. Air Induction Mowing Technology for the optimal cut. Easy to wash the underside of the cutting deck by attaching your hose to the wash port. Hour meter with service minder. Grass collection triple bagger (optional). You’ll probably want the Triple Bagger for this mower. It will collect all your clippings and the full bag indicator will tell you when it’s time to empty the bag. It can be used with or without plastic lawn bags. Easy to use and easy to dump your grass. This fits all Husqvarna tractors with 54″ decks. Lawn Mower Triple Bagger will collect all of your grass. Triple Bin Poly Lawn Waste bag. Fits Poulan-Pro & Husqvarna Tractors with 54″ decks. Clearing yard waste will be a breeze. Comes with necessary chutes and hardware.